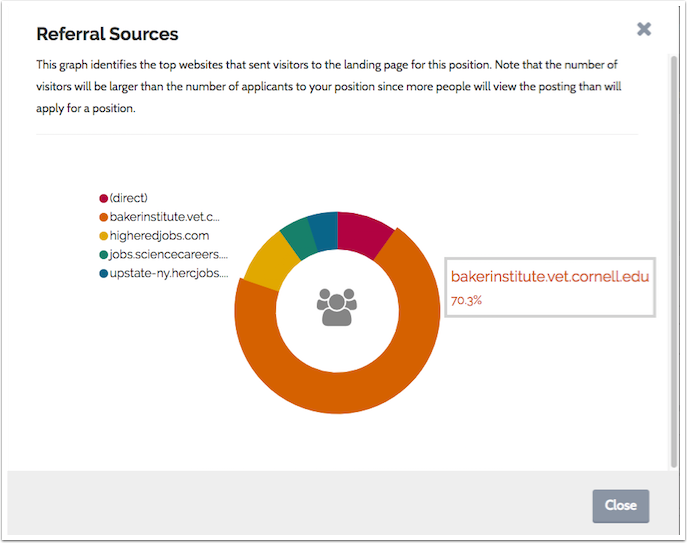 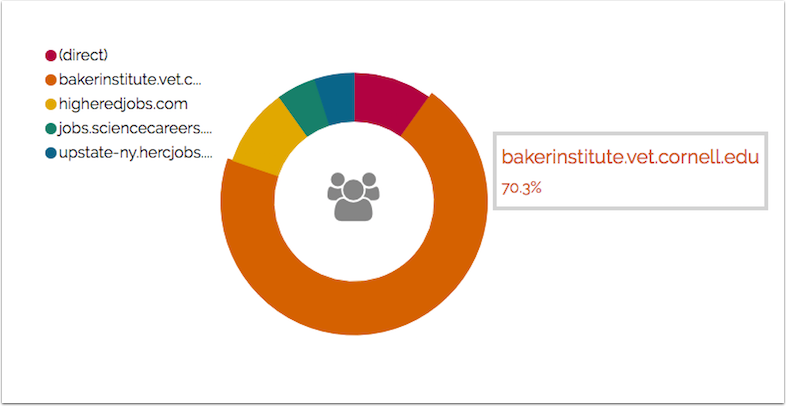 Administrative users can get an idea of where people are finding a position by viewing a graph of the top websites sending visitors to the landing page of a position. 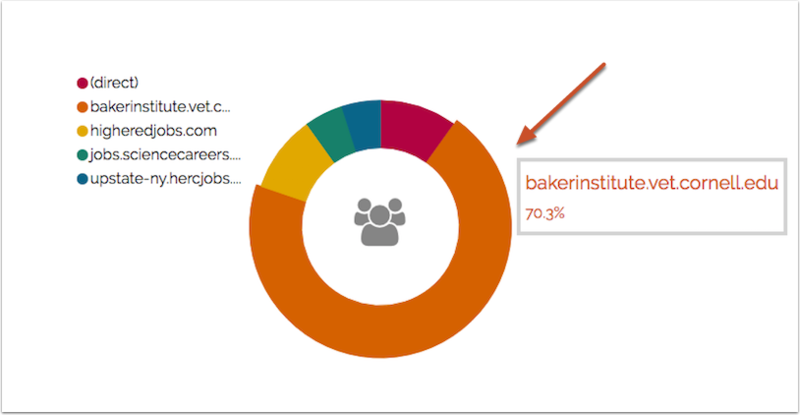 Note that the number of visitors will be larger than the number of applicants to your position because more people will view the posting than will apply for a position. 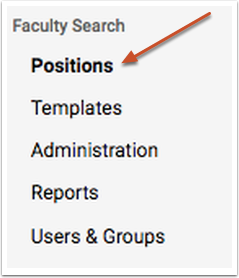 Click the Positions option from the navigation bar on the left.